I moved from Belfast to Bray in 1976 and remember following the furniture van containing all my worldly goods, ready to present a list of them to Irish Customs. It was a pouring wet day but the Customs officer insisted on the worldly goods being unloaded, to make sure the television set was more than six months old. Duty would have been payable otherwise. That was a 'hard Border', all right. The permanent army checkpoints came a bit later. They were not interested in TV sets but, unlike Customs, very interested in people. Yet even at the height of the Troubles, there was free movement. It was wise to carry identification, but not actually compulsory. The EU single market of the 1980s put an end to the Customs border and the peace process removed the soldiers. It did not establish free movement of people; it just made it a lot more pleasant. Irish and British citizens could come and go as they pleased since 1922 (with wartime checks) but those from other EU countries only since 1973. The present 'soft Border' has been there for only a quarter of the State's existence. It is the exception, rather than the rule. It will not be easy to make it the rule when Britain leaves the EU. The Taoiseach's claim that "there will be no hard Border" can only be regarded as a politician's promise - one which he does not have the power to deliver. 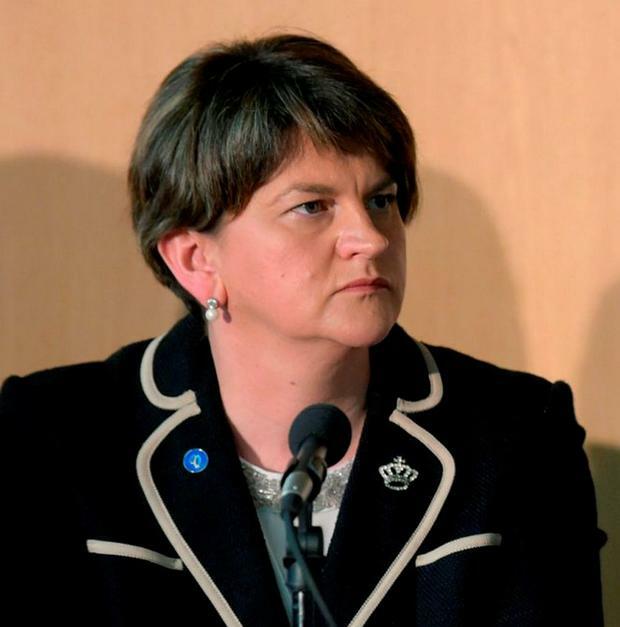 It is another sign of the strange times we live in when the DUP leader Arlene Foster and her chief whip Jeffrey Donaldson are the ones treating a Border issue with subtlety and sense, while Kenny and Martin McGuinness blunder about. It would help if we knew what people mean by a 'hard Border'. Sometimes, it seems to be a border of any kind. But as UK Prime Minister Theresa May suggested, the present arrangements can continue only if a Brexit deal includes continued access to the single market for the UK and free movement of EU citizens. The first is possible, if Britain were to negotiate trading arrangements similar to those of Norway. That always looked unlikely, because it would create a whole new category of membership. It has become even more unlikely since the referendum, with British government ministers trumpeting the benefits of bilateral trade deals - a process which would automatically exclude the UK from open access to the single market. Of itself, this might not cause too much difficulty in Ireland. The border checks would be on commercial vehicles and one hopes they would be carried out more efficiently than in the 1970s. But if Brexit became so complete that tariffs and duties were introduced between the UK and EU, we would be back to the days of smuggled booze and TVs in the rain. All of which is bad enough but the issue of free movement - in particular an end to the 94-year-old common travel area between Ireland and Britain - is probably what most people are concerned about. Unfortunately, it may prove even more difficult to maintain than the free movement of goods. The UK referendum was largely about immigration. It is difficult to see how Mrs May could accept any deal which does not impose some restrictions on EU citizens. That, of course, includes Irish citizens. It will be a hard sell to other member states that the Irish should be granted travel rights which they themselves do not have. Even without that, it is difficult to see the eastern EU states agreeing to curbs on their citizens' rights to travel and work in the UK, while giving Britain access to the single market. On the other hand, once it leaves the EU, no one will have automatic right of entry to Britain, so it might just be in everyone's interests to have some agreement, probably under a complex quota system. That would still leave the question of how to police the Border and whether arrangements between Dundalk and Newry can be different from those between Calais and Dover. Optimists hope that checks at ports and airports for passengers from Europe might be better than controls at the land Border, but passengers and their carriers might have other ideas. The peace process is the best card that Ireland can play to achieve such a special dispensation - but it will not be easy to explain. There is a genuine danger, but it is a subtle one. It will be a psychological blow to northern nationalists to find themselves in a state which is further removed from the Republic than it was before. Equally, unionists would be aghast at cross-channel passport controls. Mrs May does not sound like a woman who would contemplate that either. An even more subtle effect would be the loss of constant contact between British and Irish ministers and officials in the corridors of Europe. They may have nothing directly to do with the peace process but the personal relationships built up over the years played a huge part in its achievement. It was all the more disturbing, therefore, that the Taoiseach ignored the Anglo-Irish institutions set up under that process in his clumsy summer school intervention. They may have been of limited relevance until now but, post-Brexit, they will be the only cross-border show in town. Instead, there is irrelevant talk about a united Ireland and border polls. After Brexit, Scotland may or may not seek independence and apply for EU membership but there is no chance that Northern Ireland will do the same. There is quite enough real trouble around without adding to it with flights of fancy.